MOTIVATED SELLER! 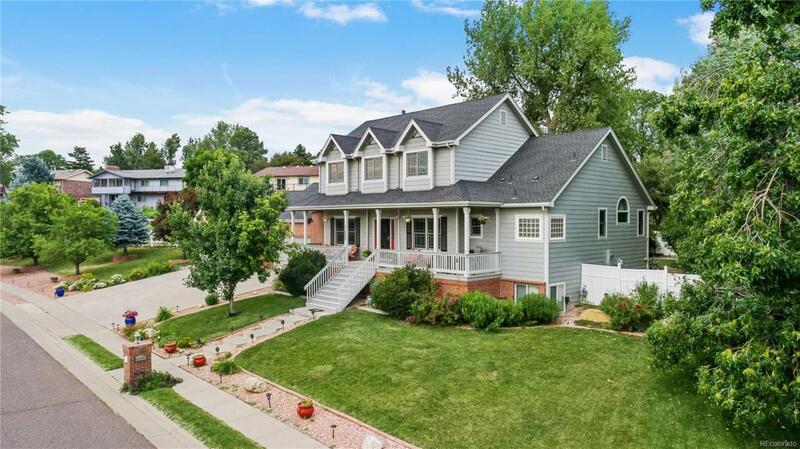 Perfect, value priced semi-custom home w superb mountain views backing to greenbelt with huge trees nestled in the quiet Fox Haven Farms enclave with just 18 homes. Homes seldom come available here. Features include: Main floor master suite w luxury 5 piece bath & French doors to back yard; large main floor study/den w built-in book shelves; formal dining; chef's kitchen w slab granite counters & backsplash, stainless appliances & nook; great room w built-ins & fireplace; upper level has en-suite bedroom with private 3/4 bath + 2 additional bedrooms connected by shared jack & jill bath. The FULL garden level basement w high ceilings & finished rec room/study/hobby area, adding a closet makes it a 5th bedroom. X-LARGE fully drywalled & insulated 4 car garage w plenty of space for cars, storage, workshop etc . Dual HVAC system. Private rear yard backs to green belt & huge shading trees for lots of privacy. NO HOA but CC&Rs recorded (in supplements). Let's make a deal!